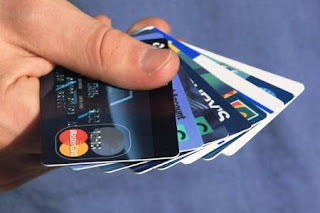 Did you know that your credit card company will accept charges on a canceled card? Today I had some very interesting conversations with GoDaddy and my credit card company. It started out with a renewal on a domain that I didn't want anymore, so I called GoDaddy to cancel it. The representative told me that I can expect a refund to a card ending in 5005. "I don't have a card ending in that number," I told him, "are you sure of the number and that it was processed?" The representative assured me that he was correct, and that he had no authority to provide a refund other than to the card the charge had originated on. This made sense, but I needed to know how they had received approval to charge this phantom credit card. This really bothered me. Certainly it is not the credit card company's duty to oversee any third party agreements I make. I asked how I would be aware of a charge for a card that is canceled. She assured me that they would send me a statement if the card ever had a balance. "How would a card with $0.00 balance that is canceled ever have a balance?!" Again, the 'third party agreement' thing. What if I move and do not receive the bill? What if I had changed emails and had not been aware that GoDaddy had just charged me? What about companies that have a terrible reputation of NOT canceling their rebills (like gyms, tanning, security monitoring). Clearly the agent had no way of changing the company policy, but I decided to ask another question. "What if I report a card as lost or stolen?" Then the card is INVALIDATED and cannot accept any further charges, even rebills. This was the answer I was looking for. To me, it is pretty clear that when I CANCEL a card, that I will not accept any further charges. Apparently, the credit card company does not interpret it this way. So from now on, I will report my card as lost or stolen immediately before canceling.